Abrasive contamination, exceptional temperatures, oscillating movements and extremely high loads are eating away at your equipment day by day. Our mining lubricants act as a technical barrier protecting your equipment whilst enabling higher machine reliability. In mining, the extraction of minerals goes on around the clock. Consequently, components such as bearings, pins, bushes, ropes and gears in mills, shovels or trucks are incessantly subject to friction and wear. Selecting the right lubricant is essential. An incorrectly selected lubricant may lead to premature failure of a component and in the worst case production stoppages entailing high maintenance costs and loss of production output and turnover. With the correct lubricant you can extend the service life of the lubricated components and increase the availability of your machines. Lower lubricant and energy consumption also have a positive effect on your operating costs. Safety first – this is a basic mining rule which is fully endorsed by DANA LUBES. Corroded wire ropes or insufficient hydraulic oils may cause serious accidents. We assist you in selecting the right products like fire-resistant hydraulic oils or corrosion-inhibiting wire rope lubricants. Our aim is to supply Eco-friendly lubricants without any loss of performance in comparison to our conventional special lubrication technology. We took mining, forestry, agricultural and ultra-strict marine regulations as a benchmark. A quarry, also known as an open-pit mine, is a section of land that has been excavated in order to retrieve desired minerals and/or non-renewable resources. Mining generally has two common excavation types: surface mining and sub-surface mining. Machinery used in this industry includes; bulldozers, drills, haul trucks, drag lines, dredgers, loaders, screens and conveyors. Lubricants for the quarry and mining industry include hydraulic oil, engine oil, transmission and driveline gear oil, mild EP gearbox oil for screens, conveyors, open gear and cable oils, and high impact water resistant greases. DANA LUBES chemical engineers have built an experienced knowledge for the extreme environment and requirements of the modern mining and quarrying business. Where commodity prices affect the profitability of the resources industry, DANA LUBES continue to protect and profit mining operators. Oils in this category meet OEM requirements for Caterpillar, Komatsu, Volvo Construction, Hitachi, Liebherr, Terex, Bobcat Company, CASE, CNH Global, Demag, Fiat-Allis, Hyundai, JCB, Kubota, Kobelco, and New Holland. The DANA LUBES specialized lubricants range appropriate for Quarry and Mining purposes can be found under HEAVY DUTY DIESEL ENGINE OIL, HEAVY DUTY TRANSMISSION OIL, AUTOMOTIVE AND HEAVY DUTY DIFFERENTIAL OIL, INDUSTRIAL GEAR OIL, AGRICULTURE, INDUSTRIAL and GREASE. Agriculture was the vast majority of human occupation prior to the industrial revolution. Then and now agriculture enhances and sustains human life. It is designed for use in a wide range of Transmissions, hydraulics, PTOs, hydraulic bearings and some Final Drives of farm tractors and construction equipment, especially those utilizing wet brake systems. Can be used as hydraulic oil where ISO 68 grades are specified. Tractor Transmission & Hydraulic Oil meets the requirements of Case Hytrans Plus and API GL-4 as well as many other specifications. It may be used where JD20A/B/C Hy-Gard is specified and is also suitable for use in the Power Steering systems of post EF Ford Falcon and its derivatives where a M2C134-D fluid is specified. 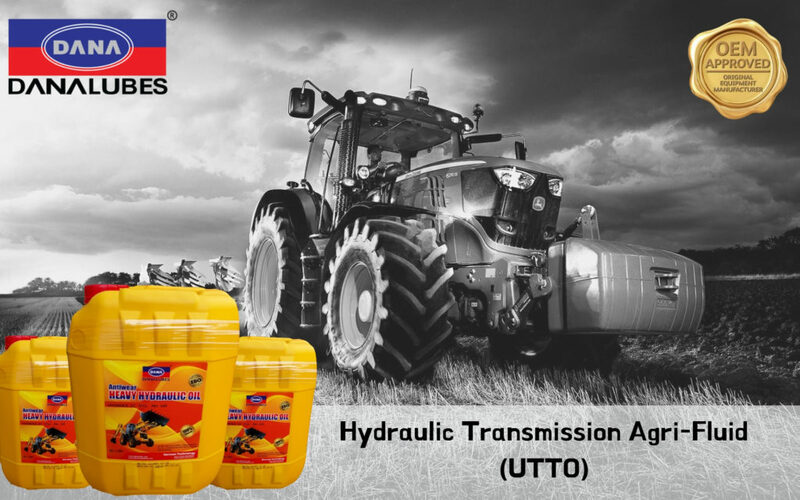 Tractor Transmission & Hydraulic Oil contains Anti Wear agents that provide wear protection as well as corrosion protection. It also quietens wet brake chatter without affecting braking performance. The primary uses for Universal Tractor Transmission Oil (UTTO) are farm tractors and combines, covering applications that have wet brakes, hydraulics and advanced transmissions. Improved Viscosity Index stops the oil becoming thin at high temperature, lasting longer. Brand matches Laboratory tested oils with full batch traceability. Oils in this category meet OEM requirements for Claas, AGCO, Kubota, John Deere, Massey Ferguson, CNH Global, CASE, International Harvester, Ford New Holland, and JCB. The heavy-duty transport industry includes all machinery that is designed to withstand the stresses of continued demanding use. Trucks, including on-road, off-road and road trains are the predominantly used of the heavy-duty transport industry. Lubricants well attuned to demands of the heavy-duty transport industry will include those that demonstrate wearability, durability and reliability in engine, transmission, diff and running gear. DANA LUBES offers a range of superior qualities lubricants for the heavy-duty transport. Extreme temperature variations and dust ingress is a major consideration in the formulation of a heavy-duty lubricant within Australia. Concurrently emission legislation and controls must be adhered to in order to meet environmental responsibilities. DANA LUBES specialized Lubricant products for the heavy-duty transport industry ensures improvements to: engine life/durability, engine wear, fuel economy, high temperature penetrability, cold starting, top up requirements, drain intervals and soot control that will exceed expectations. Oils in this category meet OEM requirements for Caterpillar, Volvo, Mack, Daimler Benz, DAF, Iveco, Scania, Mercedes Benz, Detroit Diesel, International, PACCAR and Cummins. For DANA LUBES specialized Lubricants recommended heavy-duty transport range, HEAVY-DUTY DIESEL ENGINE OIL, HEAVY DUTY TRANSMISSION OIL, AUTOMOTIVE AND HEAVY DUTY DIFFERENTIAL OIL, INDUSTRIAL GEAR OIL and GREASE categories.